With experience of so many years in the industry and because of the excellent coordination of our dexterous workforce, we are able to offer broad range of FRP Lining Systems to our customers. These are manufactured at par with international quality standards. Quality is tested at every production stage on various parameters to ensure that the products offered are of the excellent quality. Our collection includes FRP Lining on RCC and Corrosion Proof FRP Lining. We welcome queries for FRP Products from South India region like Dravida including Andhra Pradesh, Karnataka, Kerala and Tamil Nadu. With the support of our team of engineers and designers and utilization of the high-tech machines and advanced methods, we are able to complete large consignments of our client on specified time. We offer wide range of Corrosion Proof FRP Lining to our customers. These are manufactured by obtaining quality raw components under the stringent supervision of our quality analysts. Quality undergoes strict check at par with internationally accepted norms. These are available for customers requirement. 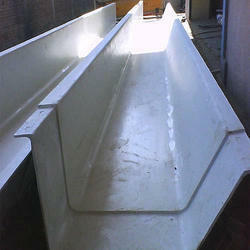 We offer excellent collection of FRP Lining on RCC to our valuable customers. These products find their extensive use in various applications like in chemical industries for tank lining, on roof tops as leak proofing and on metal tanks for non-corrosive treatment. Our products are widely appreciated by all our customers for it can endure worst conditions and hard wearing. Moreover, these are utilized at the time of making chemical tanks of PVC. These are made at par with internationally accepted norms and standards. Applications such as leak proofing of roof tops, tank lining in chemical industries, anti corrosion treatment of metal tanks and many more. 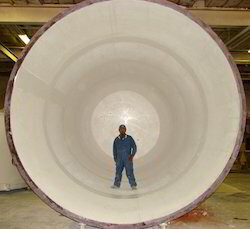 Apart from that these are also used in the manufacturing of PVC chemical tanks. These FRP linings are hard wearing and can withstand harshest conditions In Chennai, Tamilnadu, India. 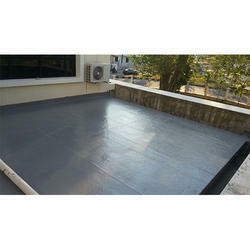 We are the leading supplier of excellent collections of FRP Lining Systems. These are widely demandable all over India for its premium quality. These are used in various industries. These are highly efficient and effective in nature for their tensile strength and lighter weight. High grade raw components are obtained at the time of manufacturing these items to ensure durability and efficacy. It can be customized as per with the requirements of the customers. We offer a wide range of FRP Lining In the process of vessel- lining are done with the sheeting, bonded directly on mild steel, and stainless steel. Our distinctive process of welding eradicates the problems related with pinholes and lining porosity that makes vessel linings perfect for the plastic lining of tanks, ISO tank containers, vessels, and high purity liners for the semiconductor industry. We allow the lining for any shape; large, small, simple or complex.